If you have any questions or want to enquire about dates, use our form to contact Gabrielle Appleford & Steve McDowell or see their website for more information. Reached down twisty lanes, this solid house of soft-gold stone is on a hillside with views of valleys and distant blue hills. Gabrielle and Steve live in Kenya –there are Swahili touches everywhere –and you’ll find kitchen basics, plus local honey and wine. Four sitting rooms on three floors means there’s plenty of space for everyone –and a vast choice of books in the library at the top. Swim in the curvy pool, sit out on the broad shaded terrace or in the well-planted Mediterranean garden; you can fire up the barbecue and dine alfresco. Walk into the village for fresh bread and an excellent seafood restaurant, or just a coffee with the locals at the café on the corner. Rent bikes or walk out into the enduring peace of the woods and hills that surround the village; Nîmes and Montpellier are an hour’s drive away. Special offer: Take advantage of our introductory offer! Enjoy a discount for anyone booking before April 30th // We also still have great availability for July and August so get in touch if you'd like to book! Minimum stay: 7 nights. Pets by arrangement. Sofabed, extra mattresses and cot available. In solid four-square certainty, here is a fine example of Cévenol domestic architecture. Pale-gold stone softens any severity, high beamed rooms are welcoming, surprising smart-rustic 'Swahili' furniture sits easily by elegant fireplaces. 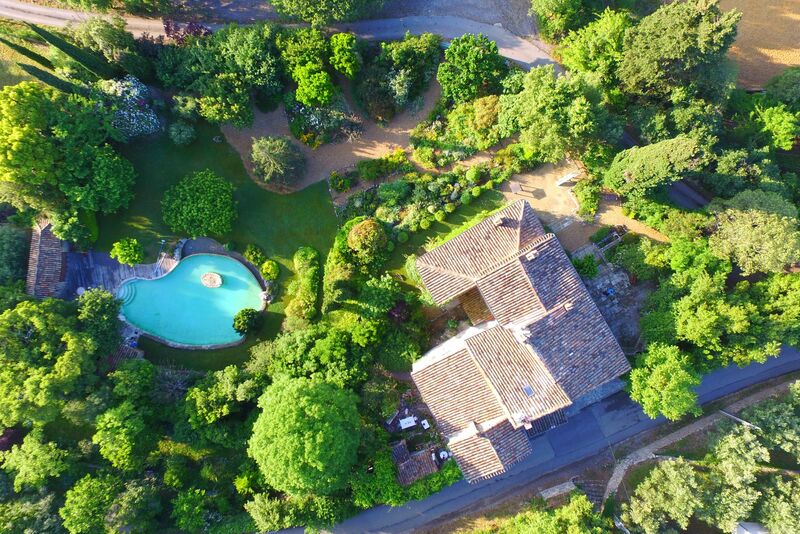 With space for all (four sitting rooms, two kitchens, garden, pool) to muck in together, or sit in the fabulous library, or explore the wonders of Provence. A Spectacular Country Villa. I cannot say enough about this lovely country estate. It is such a large home that can house many people. There are 5 floors with many sitting areas 3 kitchens and 5 bathrooms. The gardens are lovely with a large beautiful pool. It is in a lovely little village with lots of great scenery when you drive to other villages in the area. We loved it so much we plan on going back sometime in the future. Very peaceful place to stay! Cannot say enough good things about it. A beautiful, large house with a wonderful pool in a lovely part of the world. This is a great property, one of the nicest that we've stayed in. It's huge - much larger than it appears in the pictures - but all the rooms are lovely. Most of our time was spent outdoors - the garden is as well-kept as the house - by the pool or out and about. The Cevennes is nearby and there's fantastic swimming to be had in local rivers. We really loved it here. My husband and I stayed at this property in early May. This was our second trip to Mas de l'Aire, this time just the 2 of us. We quickly found a nice balance between relaxing and enjoying the beautiful house & grounds and exploring the surrounding area. We used the Voie Verte between Quissac and Sauve a number of times for exercise. This is a paved (and flat!) recreation trail that is perfect for biking, walking or jogging with fantastic views. The market in Quissac is quite lovely and Sauve is a neat medieval town so either end is a good finish! We found Mas de l'Aire a wonderful place to be. The grounds are spectacular & the pool beautiful. Our family played bocci ball on the grass, games in the pool & enjoyed dinner on the outdoor patio. The house is very large and has many separated areas so it was easy to find a quiet space in the midst of a large group. With 12 people, there were plenty of bathrooms & lots of room in the kitchen & dining area for cooking. Everywhere we drove was so picturesque it made me want to move there. The market at St. Hippolyte was charming & we enjoyed going to wineries, nature hikes & walking to town for pastries. It was very scenic and restful. Great place to bring people together. My brother, sister & I brought our families together for a decadent week at this spacious & comfortable Mas. There are plenty of quiet nooks & reading rooms to find peace & quiet when you need it, but lots of common areas for dining & spending time together. The house was tastefully decorated & the furniture was brand-new (beds comfortable! ).The gardens are gorgeous, with apricot & fig trees, berry bushes, & beautiful flowers. We spent hours in the pool with the kids, admiring the surrounding mountains & countryside. We will absolutely be back! Set between the wild Cévennes hills and the ancient towns and villages of Provence, Monoblet is a typical old Mediterranean stone village with narrow twisty lanes and three winegrowers within a seven-minute drive, plus a lively small-town cultural scene in summer, with music, art, readings and lectures. Bikes can be rented from the owners' French friends next door or in the pretty town of Sauve (20 minutes drive), and St Hippolyte and Anduze (both 15 minutes) have good markets, supermarkets and small shops. The Mas de l'Aire web site has a number of local points of interest. 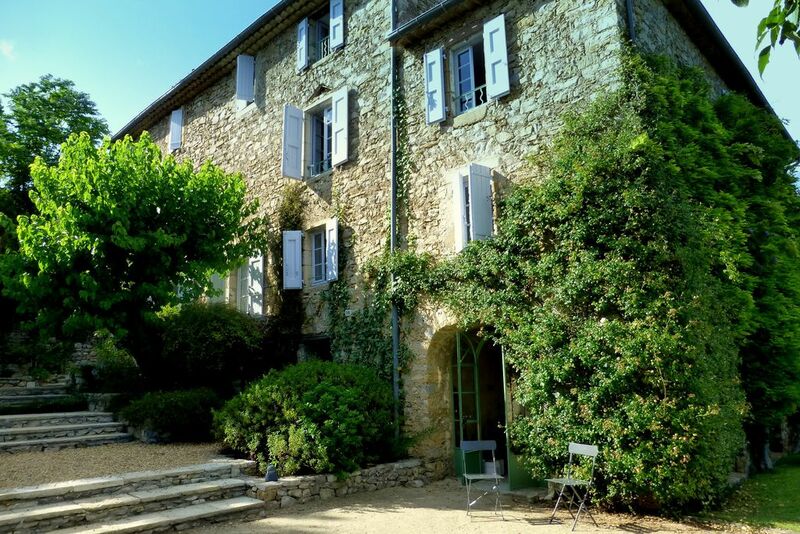 Please visit the Mas de l'Aire website. 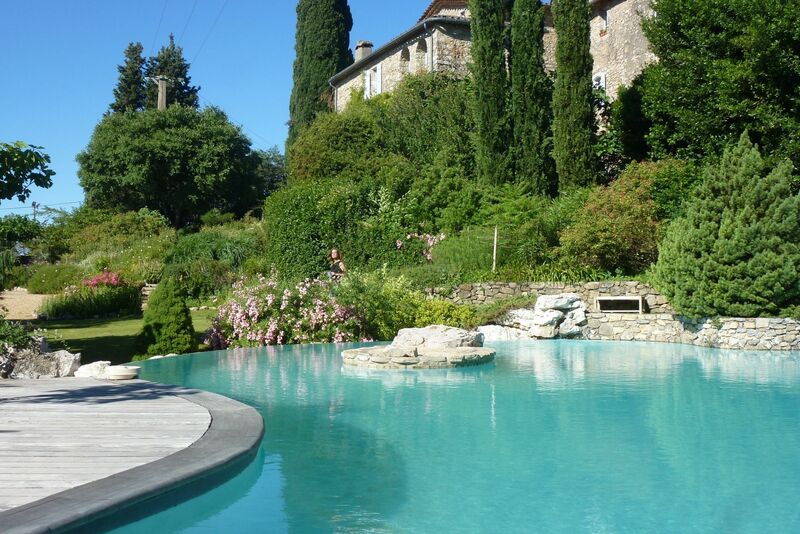 The location is at the foothills of the Cevennes so ideal for sports and cave enthusiasts. Visit the local vineyards and wineries! The Languedoc-Rousillon region (since 2016 referred to as l'Occitanie) is the single biggest wine-producing region in the world, being responsible for more than a third of France's total wine production. Other well known points of interest include the Pont de Gard, Cite de Carcassonne, Gorges de Tarn, St Guilhem le Desert. Surrounding Mas de l'Aire are many old castles, situated on hills, which make for excellent walking destinations. Or take a turn in the village, following the many paths that cut through it. Steve and Gabrielle live and work in Kenya, and bought the house in 2013 as their European retreat. They stay in it for three months a year and want others to share the house and area they so love. They’ll leave the keys with French friends next door but are always contactable, and an efficient handyman is always on call.